When I was a kid, I had this favorite movie around Christmas time, simply called “Santa Claus”. I don’t remember a lot about the movie now, I haven’t seen them show it in years. But what I do remember is that one of the main characters was a homeless child. And the one scene I remember vividly, is that he was hungry. And a girl in a big, beautiful house saw him, and made him a plate, with roast beef, and rolls and took it out to him on Christmas Eve. I know it was just a movie, but that scene always struck me hard. Hunger is such a basic need – and fulfilling it shouldn’t be as hard as it is sometimes. No child should ever go hungry. Let me say that again: No child should EVER go hungry. With the economy in the state that it’s in, food banks and shelters are going to be hit harder than ever this holiday season with people who need help to feed their families. That’s why I’m participating in the “Share Our Holiday Table” progressive dinner party in conjunction with Share Our Strength, an organization dedicated to causes like the No Kid Hungry Campaign. Before we get to the recipe, please won’t you click on that box and donate to this wonderful cause? Even a couple of dollars will help, but did you know that just $25 will feed a child 3 meals a day for a month? Myself, along with over 50 other bloggers, have each created a post meant to be for a course within the dinner party. I decided to make a family friendly main course. My main course was inspired by another organization that does a lot for little kids, Disney. We first had a dish similar to this at Le Cellier in EPCOT’s Canada pavilion. Now I know what you’re thinking – sausage AND polenta – Amber, that’s meat and a side. But it’s not. This is one of those things where each on their own, the sausage or the polenta, doesn’t shine. But every bite that you take when they’re together? Fireworks flare, angels sing, and the stars align. I am not kidding about that. The sausages will be familiar enough in shape to hot dogs to not freak little kids out, and one bite into the creamy, sweet polenta is going to have everyone at the table in a swoon. It’s also just beautiful enough, just unique enough, to surprise and delight any guests that you have at your table. It’s also light enough to include plenty of other sides with your meal. Preheat oven to 350F. In a large, oven-safe skillet, heat oil over medium heat. Add chopped onion and corn, and allow to cook for 3-5 minutes. When onions are slightly translucent, add cream, maple syrup, and 1 cup of water. Bring to a boil. Reduce heat to low and add polenta while continuing to stir. Cook for 5 minutes, stirring the entire time. Remove from heat and cover pan with aluminum foil. Bake for 45 minutes. About 20 minutes before polenta should be finished, heat a ceramic grill pan or gas grill. Grill sausages until cooked through, with nice grill marks on both sides. When the polenta is creamy and most of the liquid has been absorbed, remove from the oven. Stir in Parmesan and chives, and season with salt and pepper to taste. Slice sausages in half. Place polenta in a pasta bowl or deep plate. Top with sausages and additional chives for garnish if desired. Dig in with great enthusiasm, and the kids will too. Click on the links below to work your way through one delicious meal! * And Love it Too! Polenta is one of my most favorite dishes ever! This maple version sounds ridiculously delicious! You convinced me with the maple factor on this combination, Amber! Great post … it’s amazing that a donation of $25 will go so far, isn’t it? A very compelling reason for so many to donate. 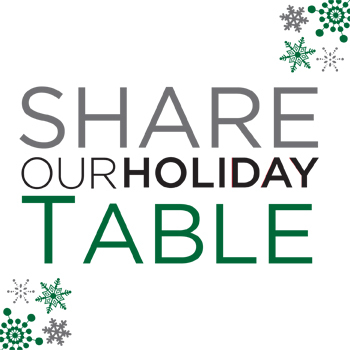 🙂 I’m happy to be participating in SOS’s Share Our Holiday Table with you and so many other wonderful bloggers. I really hope we make a big difference! I remember that movie! Such a good lesson to learn at such a young age. Great post, Amber! love it Amber – and am so thrilled to be a part of this project! love the recipe because polenta is one of my comfort dishes; you’re just pretty awesome! I bet that little hit of sweet in the polenta is fantastic with the sausage. THIS IS SO YUM! I will make this again and again and again. 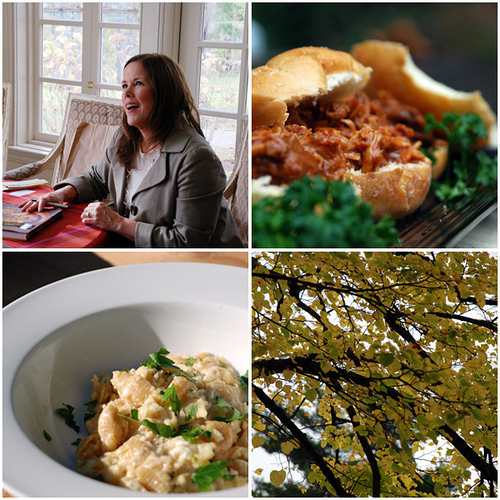 Great post….I’m proud to be part of this with food bloggers like you. By the way, my mouth actually started watering as I was reading your post and looking at your photos..gotta make this soon! When I featured my appetizer, it was my first time making polenta. I couldn’t believe how easy it was. Your meal looks delicious! I remember that movie too! I loved it! PATCH!PATCH! anyway… great post for a great cause! Mmmm. Maple corn polenta. That sounds like it would even be good for breakfast.